Welcome! 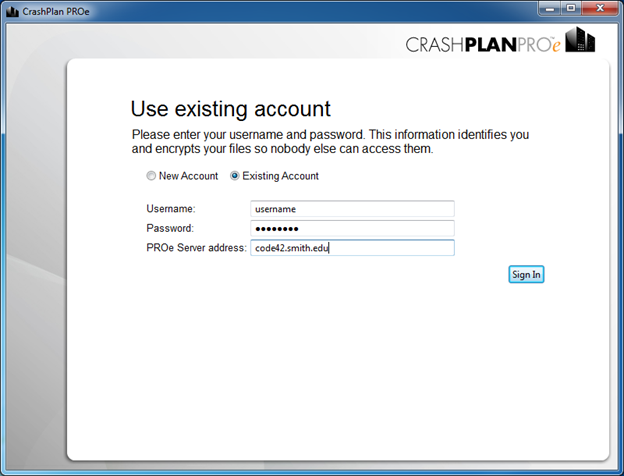 Code42 (Previously CrashPlan) is a tool which will allow you to automatically backup up to 4 computers and recover/access your files from any of those devices. To get access to Code42 send an email to cats-s@smith.edu and you will be added to the system. Please follow the links below to get to the section you’re looking for. Consult this video for an overview of Code42 or this Code42 product page for a full description of features. 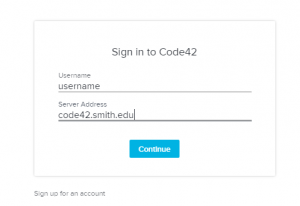 1) Email cats-s@smith.edu to request Code42. Please include the ITS fixed asset number (e.g., ITS00####) for the computer you will be installing this on. 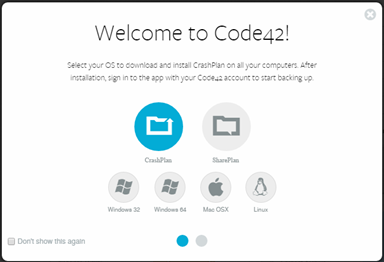 Once the Code42 installer is downloaded locate it in your Downloads area. 7) Once you select “Continue” you’ll have a place to enter your password. And then you’re all set! If you’re adding a new machine. You can click on “Details” and then “Manage Files” to add/remove files to be backed up. By default your user folder on both Mac and Windows are backed up which means your documents and desktop are backed up automatically. 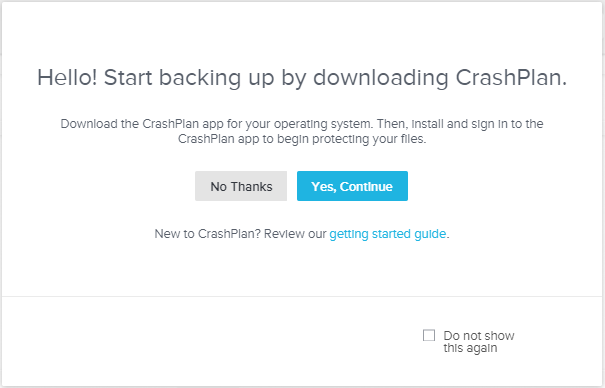 Please note: the first complete backup could take up to a couple days depending on how many files you have. You can close the Code42 window; the backup will continue running. If/when the time comes, you can restore your files from any of your computers running the Code42 client or through the Code42 web portal. 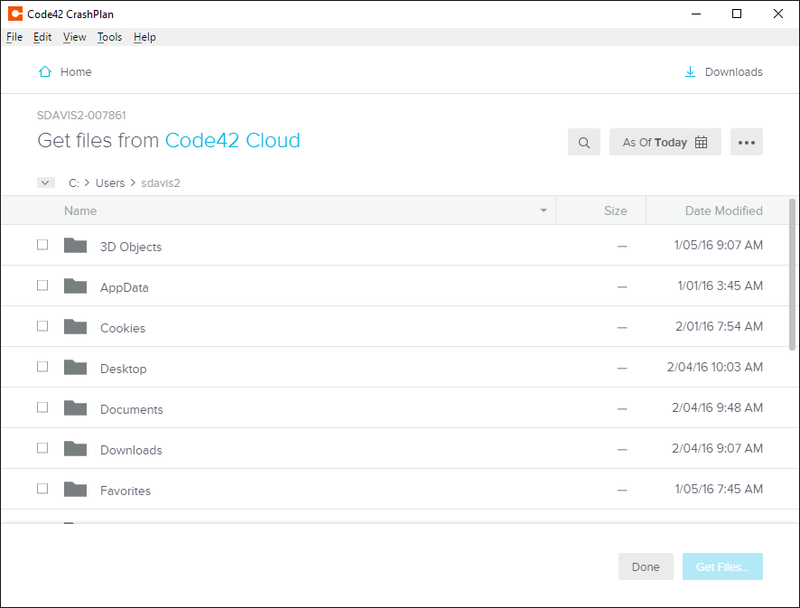 By default Code42 chooses to back up your entire Users folder which is great, but if you have files in other locations you’ll want to click on the “Manage Files” button in the Code42 app near your backup. Then select the check-box on the files/folders you want backed up. 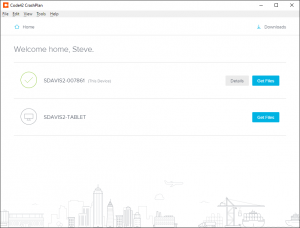 Conversely you can exclude files/folders that you do not want backed up. 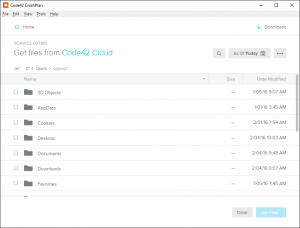 You can download, view and share files being backed up to the Code42 Cloud on your mobile device with Code42s secure file retrieval app, available for iOS and Android. Once you have successfully backed up your Smith College computer you may add up to THREE more workstations. Where applicable this could include Smith owned student workstations and/or computers attached to analytical devices in your research spaces, for example. Again, please email cats-s@smith.edu the ITS Fixed Asset number(s) for each computer you add. Select the file/folder you’d like to restore. Once you choose the file you’ll see a small clock show up to the right of the file name. 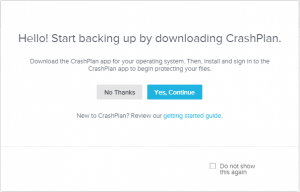 Choosing this will allow you to choose a different version of the file. You’ll then be able to choose where to save the file(s), what to do if a file with the same name already exists and also set permissions on the file(s). Once that is set hit “Go” and your files will be restored.